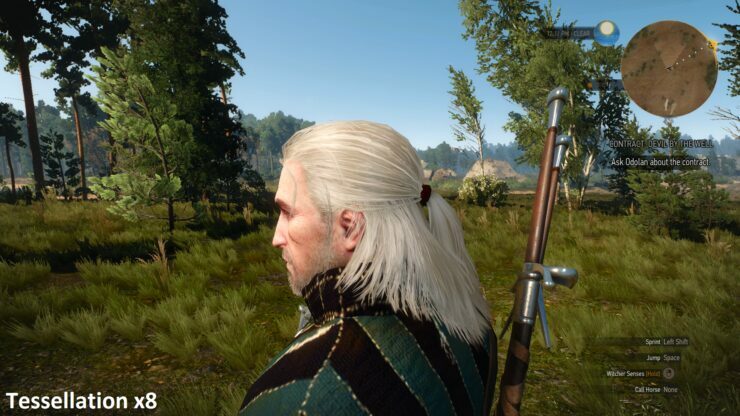 AMD announced today that an easy fix to improve HairWorks performance in The Witcher 3 : Wild Hunt exists via Catalyst Control Center, the company’s graphics control panel. The company also announced that it’s working on 15.5 Catalyst drivers to boost performance in the recently launched Witcher 3 and Project Cars game titles. Now let’s get to the HairWorks performance boosting fix which AMD announced today. 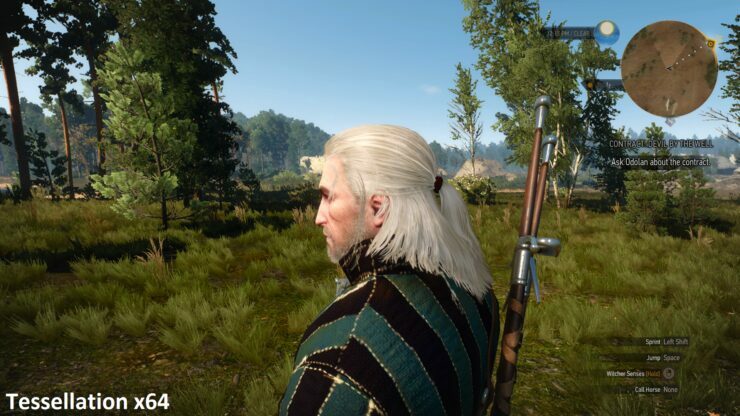 AMD has recommended that AMD users who are having performance issues with HairWorks in the Witcher 3 should try lowering the tessellation level under the 3D Application Settings in Catalyst Control Center to x8. We’ve actually already covered the fix itself in an article earlier today. The fix was actually widely discussed in the PC gaming community at The Witcher 3 subreddit prior to AMD’s announcement today. Which indicates that AMD is listening closely to the community. 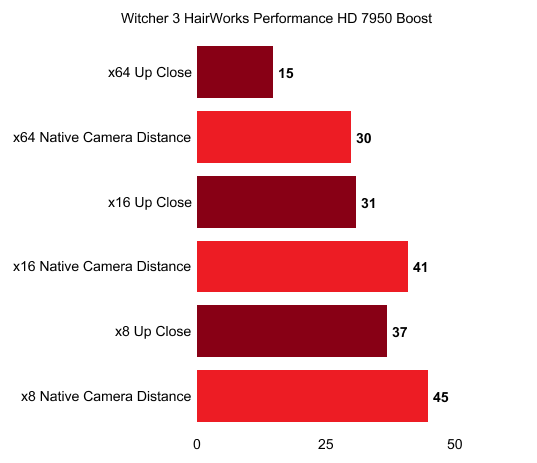 Natively HairWorks actually operates at an extremely intensive tessellation factor of 64x which is why the game setting is so demanding even on Nvidia GPUs. Lowering it to 16x and 8x would yield a very marginal reduction in quality and a massive boost to performance. 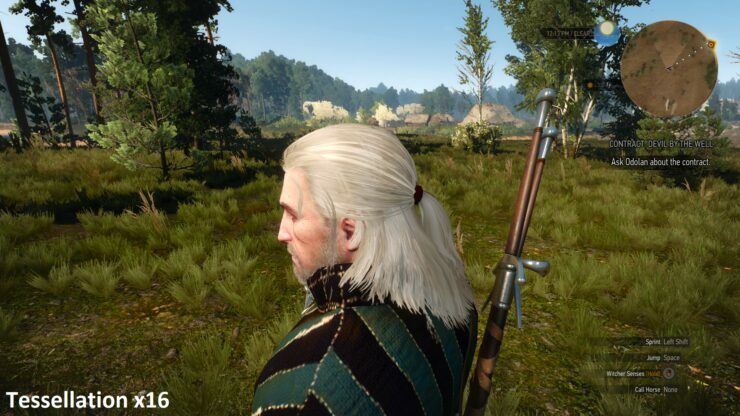 In fact we reckon that while playing The Witcher 3 you will be hard pressed to notice any differences between Tessellation x64, x16 or x8. We tested with an AMD Radeon HD 7950 Boost graphics card with all in game graphics settings set to Ultra except for foliage visibility range set to high and grass density set to medium. With Tessellation set to x64, or the game’s native setting we got 15 FPS when the screenshot that you see above was taken. Keep in mind that the performance is particularly awful because we zoomed in very close on to Geralt’s head. With the game’s native camera settings which are locked ( we used a Cheat Engine script to zoom in ) the framerate was double that at 30 FPS. With Tessellation x16 we got 31 FPS zoomed in, 41 FPS with the native camera distance. Tessellation x8 got us to 37 FPS zoomed in and 45 FPS with the native camera distance. FPS figures below were obtained with AMD’s Catalyst 15.3 drivers. 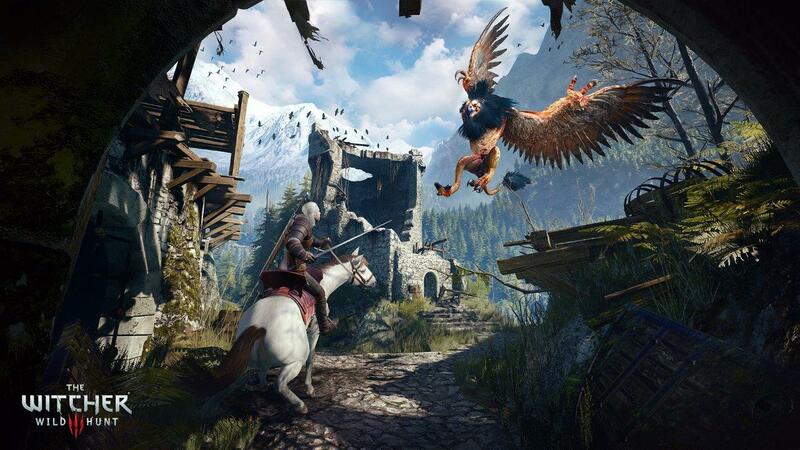 AMD is committed to improving performance for the recently-released Project CARS and The Witcher 3: Wild Hunt. To that end, we are creating AMD Catalyst™ 15.5 Beta to optimize performance for these titles, and we will continue to work closely with their developers to improve quality and performance. 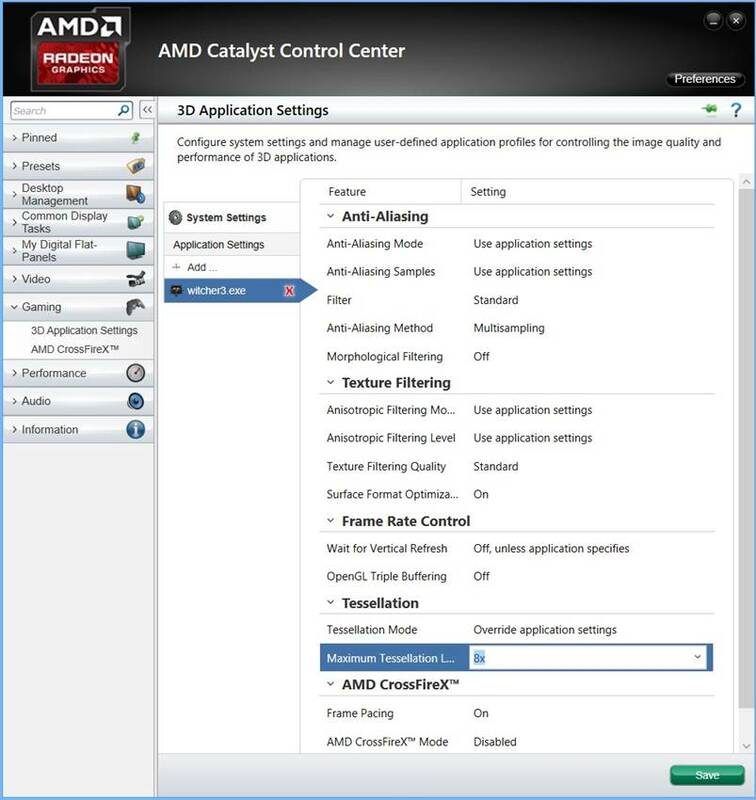 We will release AMD Catalyst™ 15.5 Beta on our website as soon as it is available. AMD is currently hard at work optimizing for both The Witcher 3 and Project Cars and will be bringing out a new Catalyst driver to boost performance in those titles. AMD also stated that it’sworking with the game developers to improve both visual quality and performance, so we might see some AMD specific technologies get implemented. Speaking of drivers, in my testing I found that even AMD’s older 15.3 drivers were very smooth. I experienced no bugs or crashes so far and performance has actually been surprisingly strong. The game performs much better than earlier benchmarks would have you believe. After overclocking the HD 7950 and with everything set to Ultra except for the two settings mentioned above the game averages 50 FPS and often hits 60. Which is what I’d personally consider to be a quite smooth and enjoyable framerate range. And so far I have rarely encountered a scenario where the framerate would dip below 40. Remember this is on a graphics card that you can buy today for $170. Even though The Witcher 3 is one of the most if not the most beautiful open world RPG games we’ve seen. The performance that you get for the perceptual visual quality is quite phenomenal. And it can only get better once DX12 support is introduced later this summer. Now if you’ll excuse me, I’ve got some monsters to slay. Leave your thoughts in a comment below.